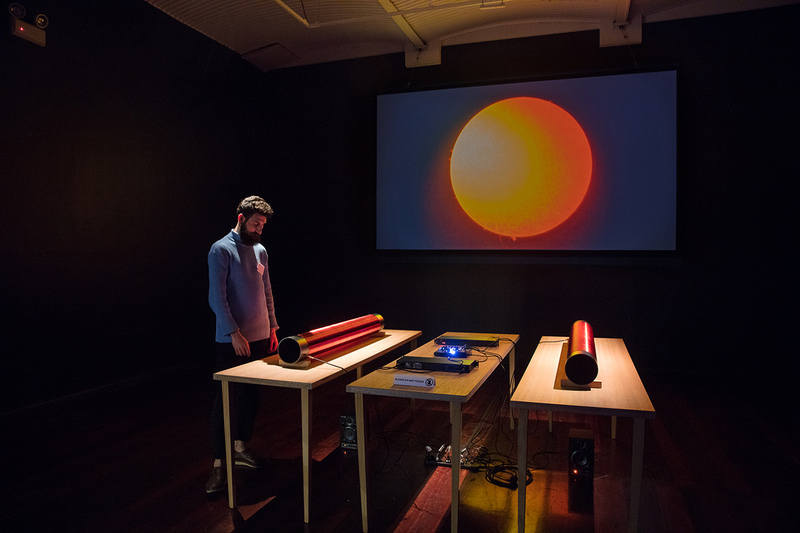 First seen at Sydney’s MCA, Energies: Haines & Hinterding is now on show at Perth’s PICA. Stephen Jones’ richly informative 2015 response to this subtly mind-bending show is a valuable introduction to the works of Joyce Hinterding and David Haines in this touring exhibition. Jones guided RealTime’s Keith Gallasch (who added a few observations of his own) through curator Anna Davis’ finely staged assemblage of Haines and Hinterding’s 15 years of investigation into the forces that invisibly surround and pass through us. Lovingly crafted works evoke and embody everything from high science to technological wizardry to the occult. Read Jones’ “Unseen energies manifest as art” and discover where and when you can experience Unseen Energies: Haines & Hinterding here.